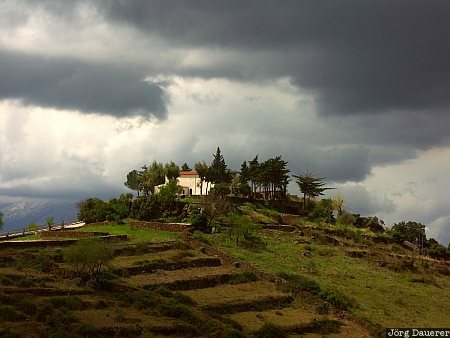 Dark clouds over a hill near Dorgali in the central part of the mediterranean island of Sardinia, Italy. This photo was taken at noon on a rainy day in April of 2005. This photo was taken with a digital camera.